David the FAKE survival boy who wasn't even there!!!!!! Take a close look at this big headed dork. 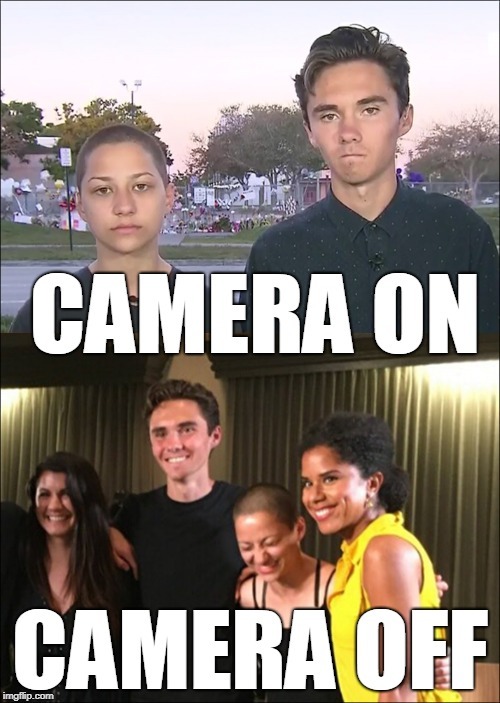 What a self serving propaganda artist this little Marxist is. The pencil neck opportunist is a journalism student at MSD, and he didn't know who George Soros was!!!?? The world does NOT, need another uninformed commie snowflake like angry little phoney Hooggg! Take it easy removed sheriff Israel, you did this to yourself! David hooggg is smarter, taller, big head for his huge brain , and he reeks of urine like most suedo intellectuals, who accidentally pee when a real reporter challenges their Karl Marx hero! I predict the tiny snowflake will get a chin implant and run for Florida Senate after Harvard completes the mind numbing repetition America bad, globalism good 100 times a day! He might even run for sheriff of Broward County like his man crush Scott Israel. !! Bazaar haaaaaa! The Muslim Grand Plan is all falling into place and we are letting it happen. This crap has to stop! On an event page on Facebook, several photos were posted from a celebration that Mohammad attended. The room the celebration was held in was decorated in green and white along with several Pakistan flags. I did not see even one American Flag, though. According to sun-sentinel.com, when asked about why he is running for office, Mohammad stated, “We (Muslims) do not have a presence in the political arena. My goal in running is to give people a wake-up call that we can run for office. I felt so blessed when I saw my name on the ballot.” Mohammad also stated that he is running to “represent the 186,000 Muslim registered voters in the state.” What about the other voters, Mohammad? If elected, aren’t you suppose to represent everyone, not just the Muslim voters? According to a Voter Guide, Mohammad is “in support of universal background checks and a ban on assault-style, semi-automatic weapons, bump stocks, and high capacity magazines for civilian use.” Mohammad has also stated that he wants to repeal Florida’s Stand Your Ground Law. Mohammad has attended events with CAIR-Fl. Mohammad spoke at a fundraiser for Asif Mahmood. Mahmood is a longtime Clinton contributor. Asif Mahmood has held fundraisers at his house for Hillary Clinton. Hillary Clinton herself and Huma Abedin attended the fundraisers. Asif Mahmood and John Podesta have emailed each other, according to WikiLeaks. Asif Mahmood was a candidate for Lieutenant Governor in Ca. before dropping out and running for Insurance Commissioner. Thankfully, he lost the primary election on June 5th, 2018. 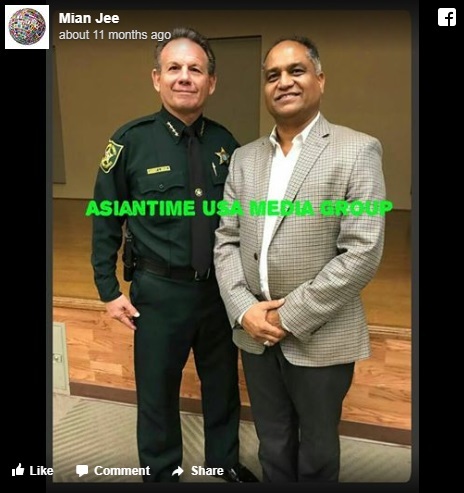 Mohammad has been at events and taken photos with Linda Sarsour, Keith Ellison, Broward County Sheriff Scott Israel and Debbie wasserman Schultz. He looks pretty chummy with all of them. Maybe close buddies? Mohammad gave a speech at a Mosque with Nezar Hamze in attendance. Hamze is a Broward County Deputy Sheriff and a Muslim convert. Hamze has given a weapons training session at a Florida mosque and encouraged Muslims to buy firearms.